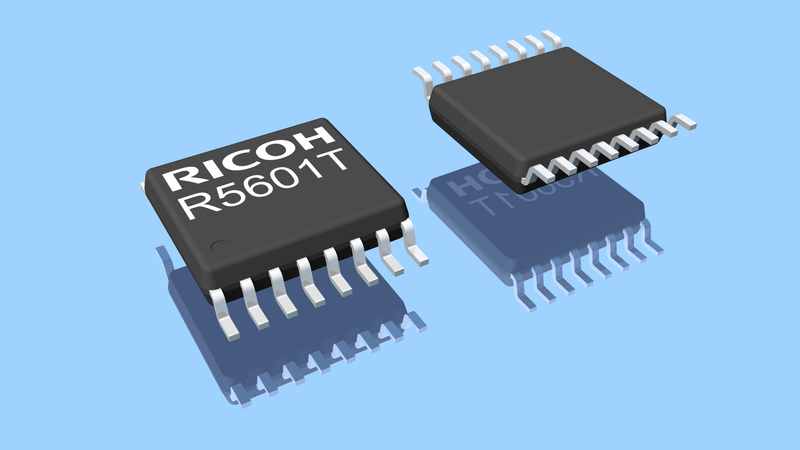 Ricoh Europe (Netherlands) B.V. Semiconductor Support Centre has launched a new Analog Front-End (AFE) Integrated Circuit (IC), the R5601. The new addition to Ricoh’s battery management ICs portfolio is designed for Lithium-ion or Lithium-polymer battery packs of three up to five cells in series. Applications include cordless power tools, robot vacuum cleaners, lawn mowers, and electrical bikes. Traditional stand-alone protection ICs have internally fixed hardware settings for various monitoring thresholds that decide to interrupt the charge or discharge process and control the external dual MOSFET. The advantage of an AFE IC versus a stand-alone protection IC is the flexible concept enabling short time to the market. An AFE IC is a measurement device of which the results are forwarded to a MCU (microcontroller unit). The fact that all threshold settings are saved within the software of the MCU and software settings are easily adaptable means a significant advantage. Therefore, an AFE IC is more convenient to use as a standard measurement IC for various battery pack designs. The wake up function assures that the R5601 starts operating from a low power mode in the normal operation mode when load current is detected. Each individual cell voltage as well as the pack current can be measured. The analog results are amplified and forwarded through the voltage monitoring and current monitoring output pin. The MCU is able to measure the cell voltage and current by using an external analog to digital converter (ADC). The R5601 provides the required high accurate reference voltage for the ADC circuit. An internal voltage regulator is embedded to provide a supply voltage to the MCU. The Alert output provides a notification to the microcontroller when detecting a fault event. The software can obtain a more detailed description of this fault event from the internal registers. Embedded MOSFET switches take care of cell balancing, making sure that each cell has an equal voltage level. If needed, the charge or discharge process will be interrupted to initiate the cell balancing process and resumes automatically the previous process when completed. As an additional safety protection, an internal thermal shutdown circuit is integrated within the IC to detect a thermal overload. The R5601 is available in a TSSOP-16 package.